As reported by NY Post: While exploring a run for president in Nevada, Mayor Bill de Blasio endorsed a committee to study reparations for descendants of slaves and then went further — saying that the country needs “a program of actual redistribution” of wealth. “I think a program of actual redistribution which includes much heavier taxes on the wealthy,” he said. “The ultimate resolution has to be profoundly economic,” de Blasio said. His answer didn’t satisfy the activist who asked the question. 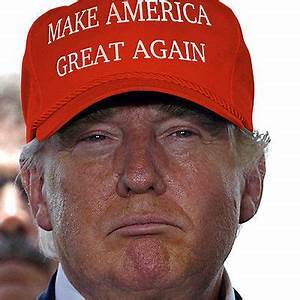 “He did what a lot of candidates do, they, ‘All lives matter’ it. They try to broaden reparations for everyone,” Leslie Turner, 37, told The Post after the event. Panera Bread Company exemplifies one of the stubborn attributes of the Left: They persist in advocating socialism/communism, in spite of the testimony from history that it doesn’t work. Not only has socialism-communism wrecked entire economies, a contemporary example of which is Venzuela, there are the horrific human costs. Bearing silent witness are the bones of HUNDREDS OF MILLIONS of those whom communist regimes had slaughtered in the 20th century. 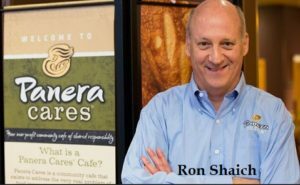 In November 2010 in a pious TED talk, Panera founder and then-CEO Ron Shaich announced the inception of Panera Cares — a chain of six nonprofit “community cafés” in Dearborn, Portland, Chicago, Boston, and St. Louis, which operate on a “pay-what-you-can” model “to help raise awareness about the very serious and pervasive problem of food insecurity (hunger) in the U.S.”. In other words, the model of the Panera Cares community cafés is not even socialism. It’s communism — Karl Marx’s “To each according to his needs, from each according to his abilities”. In truth, the community cafés should more accurately be called “communist cafés”. Overseeing the community cafés is the Panera Bread Foundation, an IRS-designated 501(c)(3) “private charity” launched in 2010 before Shaich’s TED talk, with the goal of helping the poor, providing education to at-risk youth, and promoting health and welfare. Alas, human nature being what it is, although some people paid their “fair share” (whatever that means), many others simply took advantage of the communist “pay-what-you-can” model by paying little or nothing. The cafés reportedly were “mobbed” by students and homeless people looking for a free meal. To be deemed “publicly supported” by the IRS, organizations must take at least a third of their financial support from donations: Panera Cares Cafés’ public support made up close to 58%, the company said. It is not clear whether these were actually donations, in-kind donations of labor, or people simply paying above the sticker price on their lunch. A 2018 article published in the Journal of Business Ethics seems to come down quite firmly on the side of the IRS. Academics Giana M. Eckhardt and Susan Dobscha [of the University of London and Bentley University] argue that Shaich was attempting to monetize people’s desire to “demonstrate their ‘goodness’ at the cash register,” by “paying more than the displayed price for their meal” and thus generate profit for the business. Though some people may indeed have wanted to signal their virtue, others were uncomfortable with a pricing system that put the onus on them —a rude awakening to a gift economy system that does expect people to behave selflessly. In a further blow to Panera’s charitable aspirations, the experience of dining alongside the “food insecure” did not, as Panera’s filings suggested, facilitate interclass communication and mingling. Instead, Eckhardt and Dobscha found, wealthy people felt disdainful of their fellow diners; the homeless or poor, “rather than being empowered via a dignified dining experience,” felt ashamed or uncomfortable. The Party of Death is at it again. It’s bad enough that U.S. taxpayers are forced to pay for abortion via the federal government’s funding of Planned Parenthood, a new bill introduced by Demonrats will force taxpayers to fund any and all abortions in America. 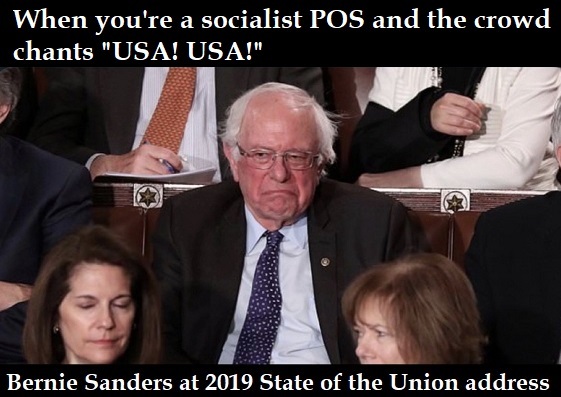 Under the guise of a benevolent concern to provide government health care for all Americans, the Medicare For All Act of 2019 isn’t just socialism. The bill funds the killing of unborn Americans — all at taxpayers’ expense. Currently, federal law prohibits Medicare money from paying for abortion services via the Hyde Amendment, but some states have programs that fund abortions by “low-income” women. Some private insurance policies also cover, or partially cover, abortion services. The Medicare for All Act of 2019 would fund abortion by repealing the Hyde Amendment. 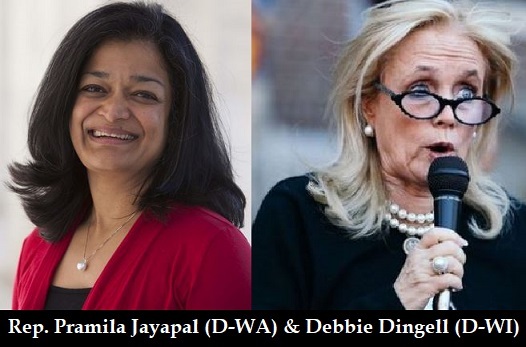 On February 28, 2019, Reps. Pramila Jayapal (D-WA) and Debbie Dingell (D-MI) introduced the Medicare for All Act of 2019. The bill is co-sponsored by more than 100 House Democrats. Fund abortions by repealing the Hyde amendment. Ban private insurance, which can have serious consequences for healthcare choice and accountability. 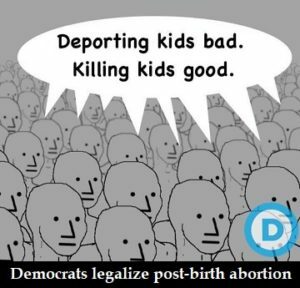 “Priorities: First order of business for Democrat House majority is abortion,” to undo President Trump’s defunding of abortion-promoting foreign NGOs. Stephanie exemplifies one of the stubborn attributes of the Left: They persist in advocating socialism/communism, in spite of the testimony from history that it doesn’t work. Bearing silent witness are the bones of HUNDREDS OF MILLIONS of those whom communist regimes had slaughtered in the 20th century. But the Left insist that “they” didn’t do socialism/communism properly, and that “this time” they’ll make it work. 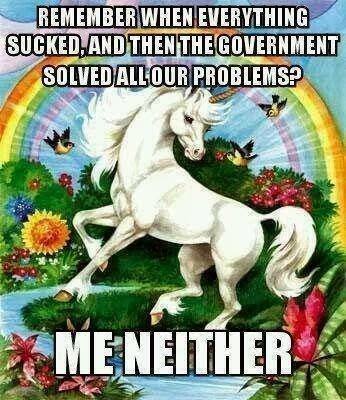 Here are two recent examples of the failure of socialism which, once again, will fall on deaf ears. Panera Bread Company is a chain store of for-profit bakery-café fast-casual restaurants with over 2,000 locations in the United States and Canada. In November 2010 in a pious TED talk, Panera founder Ron Shaich announced the inception of Panera Cares — a chain of six nonprofit “community cafés” in Dearborn, Portland, Chicago, Boston, and St. Louis, which operate on a “pay-what-you-can” model “to help raise awareness about the very serious and pervasive problem of food insecurity (hunger) in the U.S.”. In other words, the model of the Panera Cares community cafés is not even socialism. It is communism — Karl Marx’s “To each according to his needs, from each according to his abilities”. In truth, the community cafés should more accurately be called “communist cafés”. None of the communist cafés was self-sustaining. Not only is human nature such that we will take advantage of socialist/communist pricing like Panera’s “pay-what-you-can,” we will exact revenge if welfare offerings are withdrawn. Like the baboons of Gibralta, recipients of a basic income (BI) pilot project in Canada are enraged at the project’s surprise cancellation and are suing the government. Members of an internationally lauded basic income pilot project in Canada are taking their province to court over its surprise cancellation, arguing that the Ontario government’s decision is unethical and that it was made in bad faith. 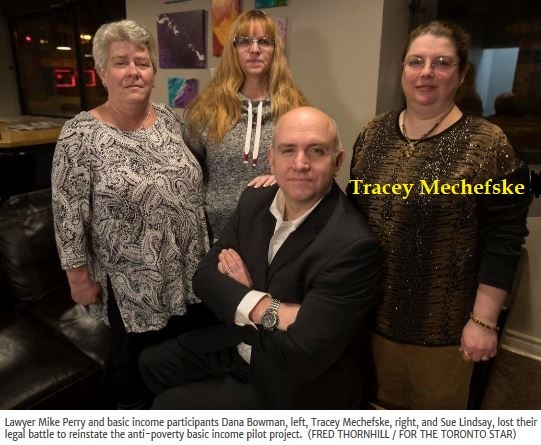 One of the plaintiffs in the lawsuit is Tracey Mechefske, a basic income recipient in Lindsay, Ont., who receives CDN $2,803 (US $2,125) a month although her husband is employed. In contrast, only 35% of U.S. citizen households accessed welfare. Illegal aliens, who make up about half of America’s non-citizen population. Permanent residents (green card holders) who have not naturalized. Long-term temporary visitors, e.g. guestworkers and foreign students. Methodology: For the study, CIS employed data from the U.S. Census Bureau’s 2014 (and newest-available) Survey of Income and Program Participation (SIPP) — a longitudinal (i.e., followed over several years) dataset of nationally representative samples of U.S. households. Welfare use is based on self-reporting, which means there is some misreporting. Given the human propensity to lie in one’s self-interest, that suggests the actual percentage of non-citizen households on welfare is likely higher than 63%. In 2014, 63% of households headed by a non-citizen reported that they used at least one welfare program, compared to 35% of native-headed households. New York: 53% vs. 38%. Food programs: 45% of non-citizen households vs. 21% of citizen households. Medicard: 50% of non-citizen households vs. 23% of citizen households. Cash welfare, including Earned Income Tax Credit (EITC): 31% of non-citizen households vs. 19% of citizen households. EITC is a means-tested welfare program, but unlike other programs one has to work to receive it. EITC recipients pay no federal income tax. Welfare-use is higher for every type of non-citizen households (illegals, permanent residents, long-term visitors), except in the case of housing programs. 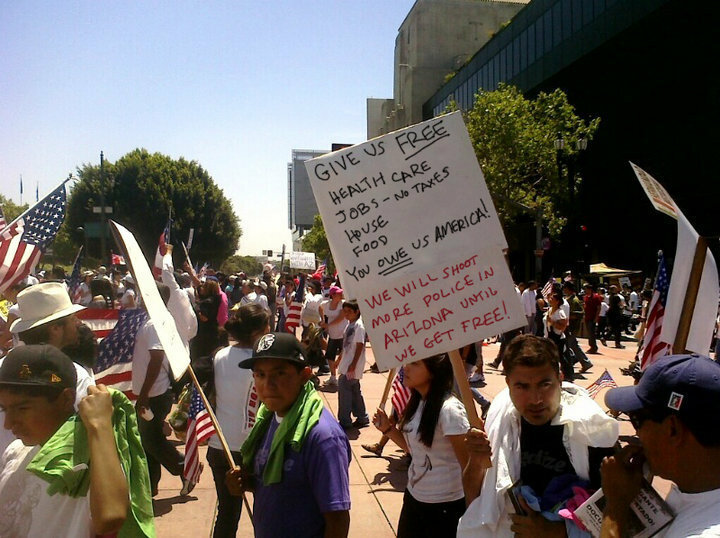 The longer the non-citizens are in the U.S., the more they are on welfare: Whereas 50% of non-citizen households in the United States for fewer than 10 years use one or more welfare programs, 70% of those who have been in the U.S. for more than 10 years on are welfare. Although 93% of non-citizen households receiving welfare have at least one worker, they often earn low wages (because of their low education) and, therefore, qualify for welfare at higher rates than citizens. 58% of all non-citizen households are headed by individuals with no more than a high school education, compared to 36% of citizen households. Most legal immigrants have been in the country long enough to qualify. The barrier preventing non-citizens from receiving welfare does not apply to all programs, nor does it always apply to non-citizen children. Some states provide welfare to new immigrants on their own. Most importantly, non-citizens (including illegal immigrants) can receive benefits on behalf of their U.S.-born children who are awarded U.S. citizenship and full welfare eligibility at birth. From NBC: The Trump administration announced a proposed rule Saturday that would make it harder to obtain visas or green cards for immigrants already in the U.S. legally, as well as those seeking to enter, if they have ever been dependent on certain public benefits, like Medicaid, food stamps or public housing. Originally, the rule known as “public charge” began in the 1800s as a way for the U.S. to deny entry to immigrants who were likely to become a drain on the economy. “This proposed rule will implement a law passed by Congress intended to promote immigrant self-sufficiency and protect finite resources by ensuring that they are not likely to become burdens on American taxpayers,” said Department of Homeland Security Secretary Kirstjen Nielsen. “The [disqualifying] benefits generally represent the largest federal programs for low-income people by total expenditure that address basic living needs such as income, housing, food, and medical care,” a spokeswoman for DHS said in a written briefing. Alexandria Ocasio-Cortez, 28, called a rising “political star” by the New York Times, won the June 26 Democratic primary in New York’s 14th congressional district, defeating incumbent Congressman Joe Crowley, in what has been called the biggest upset victory in the 2018 midterm-election season. Ocasio-Cortez is an avowed socialist and member of the Democratic Socialists of America. 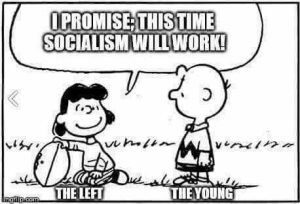 She advocates hard-Left policies such as gun control, an end to the use of fossil fuels, single-payer (government) healthcare system, universal healthcare (Medicare for All), tuition-free universities, forgiveness of all student debts, amnesty (“path to citizenship”) for illegal aliens, abolition of ICE (U.S. Immigration and Customs Enforcement), and impeachment of President Trump. According to the webpage “Construction Worker Salary in New York,” the average annual salary of New York construction workers is $43,311, with salaries ranging from $22,498 to $74,251. Wes Walker of Clash Daily points out that “If you split 43K 12 ways, that number comes out to $3609 a month — total pay” — the average monthly salary of NY construction workers. 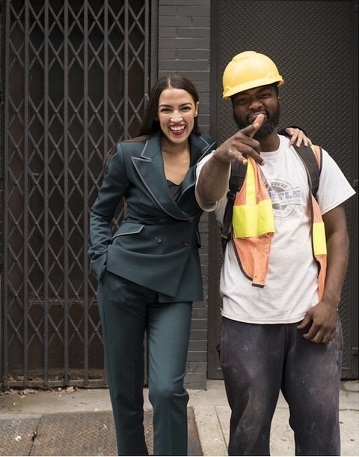 In other words, socialist Ocasio-Cortez’s designer outfit costs the equivalent of one month’s salary of the construction workers she visited. Back in July it was revealed that despite Ocasio-Cortez claiming to be a rough and ready working class girl from the Bronx, she mostly grew up in wealthy Westchester County. Numerous mainstream media biographies of Ocasio-Cortez omit the fact that she basically grew up middle class, with her architect father able to send her to Boston University to study economics and international relations. 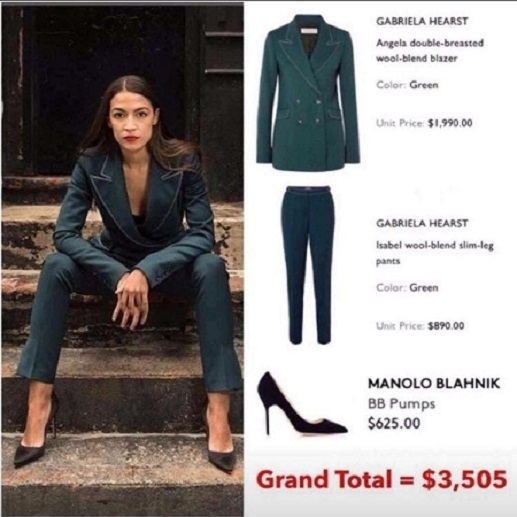 One wonders how disconnected Ocasio-Cortez is now to ordinary Americans given that she is swanning around in $3,500 outfits while claiming to be a working class hero. Alex Kainz You continue to inspire me and other progressive Americans on a daily basis, Alexandria! Keep on keeping on! Ivan Erickson Ii am not in her district, but I am excited for people who are. We all must press ahead to hand over the reins to a new generation of leaders. All the power to Alexandria Ocasio-Cortez and the voters in her district. They will write the history worth writing about.